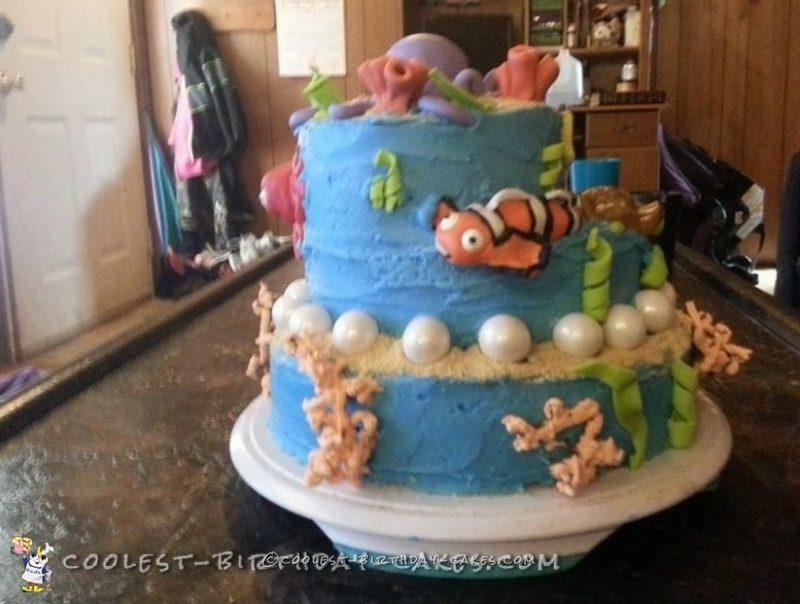 This is Nemo cake under the sea kinda thing. My daughter adored it! 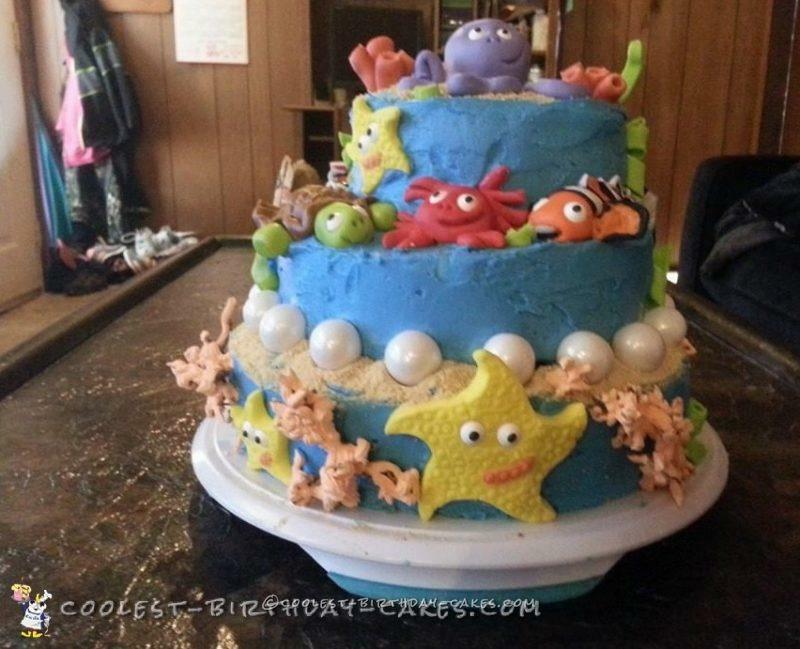 It is two tiered with all buttercream frosting except for marshmallow fondant decorations and the bubble gum balls. I added those to look like pearls. 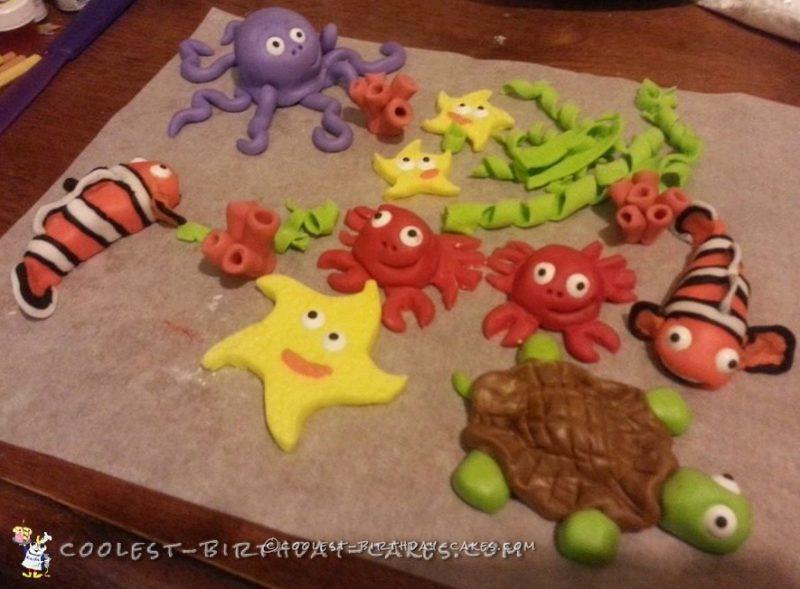 All of the creatures are hand made and I think I did an awesome job if I can toot my own horn. The inside was vanilla because she doesn’t like chocolate. I am always up for the challenge and never back down. Yes, I flop sometimes but it just makes me work harder the next. I have never studied culinary arts or anything so I am sure there are mistakes I made. And if you see them please comment so I can learn. Making cakes and other foods are my go to stress relievers I don’t know what I would do without it. But like I said this is a vanilla buttercream and vanilla layered cake!